Villeroy & Boch A8 hot tub. All-seater hot tub for 8 persons. Individual colour scheme, different models and ideal ergonomics: our Premium Line hot-tubs can be individually configured to your wishes and needs. 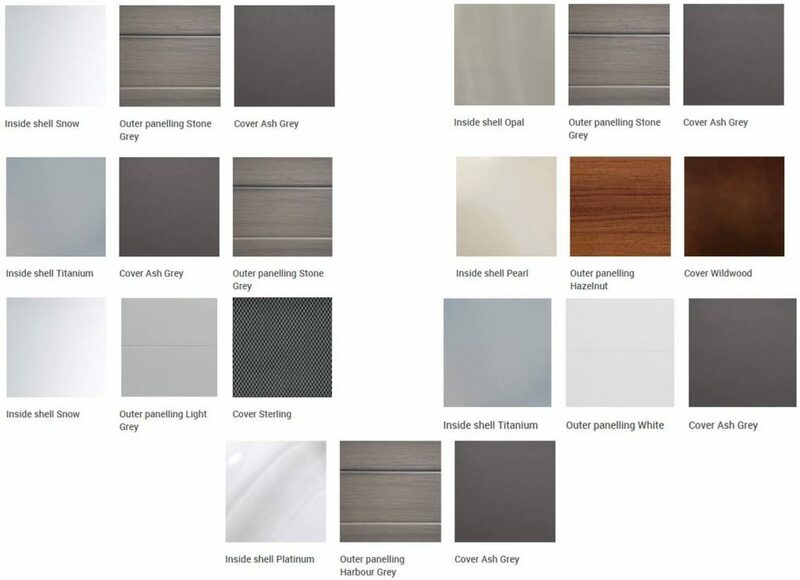 They provide an ideal platform for making a colour statement and offer a large choice of colours for the inner and outer shell, as well as various JetPaks. A Premium whirlpool spa also includes premium equipment – which is why our hot tubs have stylish stainless steel jets, interior and exterior lighting and an illuminated waterfall, as well as a variety of jets inside for feet, legs and hips. 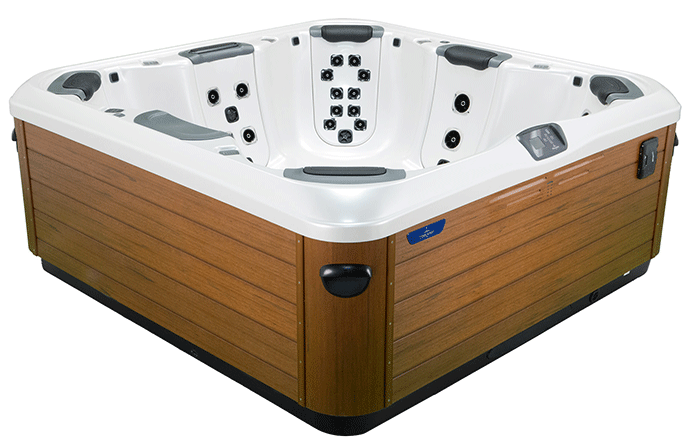 The A8 hot tub is an 8-person hot tub for sharing the leisure experience with family and friends.